Celtic tradition believed that on October 31st, the line between the living and the dead became blurred and wearing a mask would protect you from the evil spirits roaming around town. Overtime, this evolved into a tradition in American culture (by way of the England and Ireland), in which kids dressed up in scary costumes and went house to house. They asked for treats like candy and if they did not get their precious candy, they would cover the house with toilet paper (or some other juvenile trick-dang kids!). Thus, a great, dare we say “hallowed”, tradition was born. 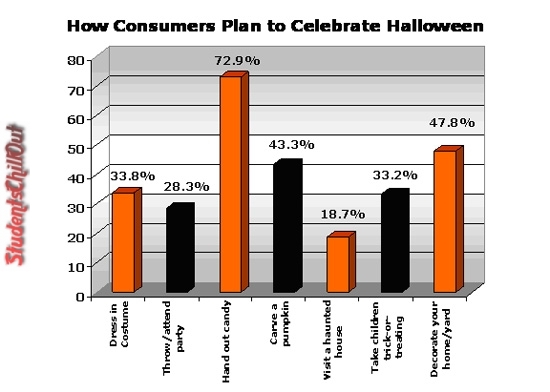 Here are the some Fun facts about halloween images you would enjoying knowing them..